Last month I attended HP Discover (disclosure: my participation was funded by Ivy World). The IT war already started however HP stands still not taking initiatives and real risks as true leaders should take. At the three-day conference I learned why some companies don’t last and why this IT giant is at a great risk of losing in this new era IT battle. This is a story of a lasting company that might have already lost. I attended the “HP Converged Cloud” session led by Biri Singh, SVP and GM for HP Cloud Services.. Biri opened his presentation stating that “The cloud is just another data center”. My dear reader don’t get me wrong, Mr. Singh understands that cloud and the business concepts of pay-per-use, “capacity meets demand”, etc. HP’s lack of capabilities harms their integrity and made them try to slow down the paradigm change driven by cloud computing. It seems that the giant vendor actually decided to leverage its influential force and strive to postpone the market understanding of what the cloud really is – will that work? Hell No! Will devaluating your customers understanding will give HP some time? Seems that HP doesn’t get that the cloud brings with it the agility and the methods that make the IT world to develop and change extremely faster. In his presentation Biri said that enterprise customers that look for a cloud actually need a managed service. That might be the current state because the cloud is still immature and the enterprise needs to close its knowledge gap – but will it last? No. Biri didn’t spare any cloud terms including automation, orchestration, interoperability, etc., making sure to wash them all. If you have a business model that in part relies on your customers being misinformed or let’s just say incompletely informed, you better work on changing your business model,” said Amazon chief Jeff Bezos in the re:Invent main keynote session. While hanging out on the Expo floor and chatting with a bunch of HP reps, I heard talk of “other options” such as “Private hosted single tenant cloud”, “Private managed service”, “Platform as a service”, as well as “cloud comes in different forms and shapes”. Are you confused? I am sure that most of the HP guys are. I suggest you read more about that multi-cloud confusion on Paul Miller’s blog – HP tale of many clouds”. HP differentiates its cloud based on its level of security, global scale, consistency and SLA. Although significant, these are purely technical issues. Amazon has already proved that these can be solved and managed inside its public cloud. And things will continue to improve as Amazon clearly intends to fulfill the needs of the enterprise. Also, can’t a private environment leave inside a pull of endless amount of resources, the one we currently name the “public cloud”? I disagree with the view that migration to the public cloud will take decades, simply based on the exponential growth of Amazon Cloud. In the next few years, the enterprise will migrate most of its resources to the public cloud and enjoy an advanced, reliable and secure environment, together with the business benefits stemming from removal of the known traditional IT project risks. 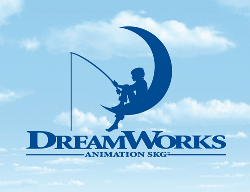 The second part of the presentation was given by Derek Chan, Head of Global Technology Operations at DreamWorks. This was a marketing play using a giant media company (kind of reminds me the mutual PRs of Amazon and Netflix). While introducing the need to scale computing and storage, he emphasized bursting the cloud capability that HP supported. Just to make it clear, the HP bursting capability doesn’t support scaling off premises, but starting with an additional virtual machine off premises. Anyone who understands the cloud recognized the amazing waste. In a theoretical cloud environment, the gray area is actual idle capacity. In addition to the customer who suffers from underutilized. If the most of the needs are video rendering, then the waste here is guaranteed. The graph doesn’t really reflect optimization of costs but more the agility enabled by outsourcing the load to HP data centers. 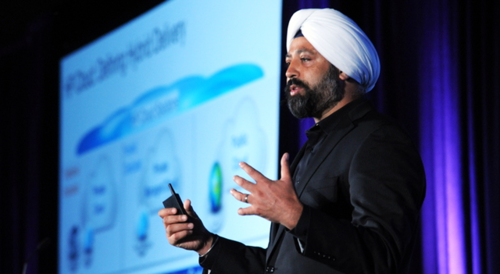 Where we might go is the public cloud to achieve hyper scalability” Chan said. Chan ended his presentation by saying that he actually finds it important to be able to get a deeper granularity of scale, not only on a monthly basis but also on daily and hourly level – which he could already get using Amazon cloud for the last several years. At the conference, HP announced that it is extending its cloud bursting service to support AWS and Savvis clouds. The important fact is that the HP enterprise customers (where the money is …) are already using the Amazon cloud. According to last Gartner report, 20% of the enterprise applications portfolio are already SaaS-based (internal HP resources told me that even some of the HP divisions have adopted solutions of force.com). The basic known fact is that IaaS adoption has already started, and as some HP executives agreed, this is the same bottom up adoption of web services we see over the last decade. The HP bloggers lounge was pretty cool and the work environment was very pleasant. HP hosted “coffee talks” for the bloggers with HP executives introducing and discussing the HP offerings. I attended the Cloud coffee talk. The full room was pretty “cozy” including about a dozen bloggers and several HP executives. Christian Verstraete, Chief of Cloud Technology, led the session. The tension in the room rose quickly when I raised my hand and mentioned the Amazon AWS Cloud and the disruptive re:Invent conference which I attended a week earlier. HP’s leaders still think (or at least say) that the public cloud is suitable only for SMBs and startups. It seems to be ignoring the fact that the Amazon public cloud has already proven its capabilities in the enterprise and slowly but surely is taking bites from the internal enterprise on-premise environment. To my questions with regards to the HP cloud’s lack of elasticity, I got no answers. The discussion around HP’s public cloud centered on the question of whether HP competes with Amazon cloud. HP recognizes Amazon as a new player, but the HP guys seemed to struggle with this question. The conversation revealed a great confusion. Verstraete mentioned HP’s “Enterprise Grade Cloud,” great term though here it served yet as another marketing term for a premium managed hosting services. The public cloud has already penetrated the enterprise market and its appealing manner encourages the enterprise IT team to migrate more and more resources to the public cloud. According to Verstraete, HP’s cloud offering differentiates itself from others by providing the “transparency the enterprise needs”, and the obvious “why private” reasons such as compliance and business continuity. However, it is a proven fact that the move to the cloud is driven by the business that wants to lower costs while improving the probability of success for the IT process. HP announced the availability of several great features, such as the block store. 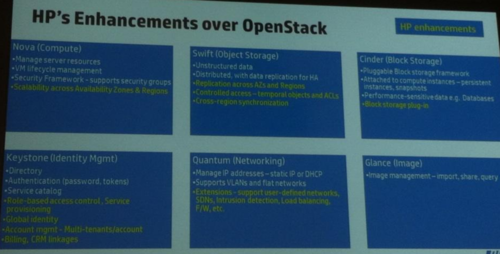 The text in yellow on the following slide highlights HP’s vast contribution to the Openstack opensource. Lots of traditional IT giants joined the Openstack community, making it a leading candidate together with MS Azure to compete with the Amazon AWS cloud. Not surprising, since HP might be the natural player to rule the cloud computing domain. It has smart people and the means to create a leading public cloud offering. But, taking into consideration all of the points made above, I still have my doubts. In 2011, HP acquired Autonomy. 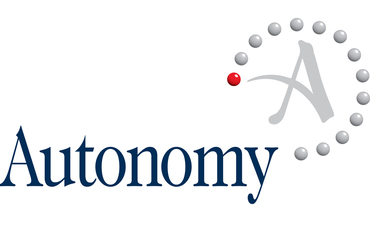 Autonomy software searches a broad range of data, including e-mails, music, social networks and more. A few months later, the company announced that it will need to write off $8.8B because of Autonomy accounting issues. The company’s former CEO, Leo Apotheker, who led this deal wanted to focus on being more of a software and services company and not dependent on the hardware. Visiting the HP Discover Labs booth I found an interesting product, that support the enterprise getting a hold of its internal knowledge and digital resources. The value of such a software product can be nice, though the competition from outside big data focused vendors can be an interesting challenge for the late-to-market giant. The largest computer hardware maker, HP employs around 300k employees with an enormous amount of business units. The first day started by announcing loudly the company new storage offering within HP’s overall business mix. The quiet announcements and the small insignificant booth #731 of the HP cloud made me feel that business units don’t always get the needed presence; it seems that these are weak link, as they still don’t generate the amount of revenues that the hardware divisions do. HP is trapped in a perception that its current market share and the relationships with customers will sustain its IT business. The company leadership needs to change and adapt to the changes. From my experience in the last year writing about “The cloud in HP cloud”, I don’t see how this giant ship will be able to reach out and close the current huge gap. I don’t see the internal integrity and a recognition of the need to “bet the company” like Microsoft did. I strongly suggest to HP leaders that they be careful. Specifically, these types of statements remind me of the “long lasting Kodak” – they claimed to have a strong hold on the market, they were trapped in their own research proving that in the digital age people shoot more digital photos and eventually will print more. In January this year, the 131-year-old company filed for bankruptcy. The cloud is a revolution and not an evolution. HP should have been one of the first to recognize the threat derived by the mobile revolution and the new IT consumerization methods supported by the web. The major internal leadership issues that the company suffered from in recent years has impeded its pace of innovation; this will have negative consequences in the years to come. No doubt the giant’s leadership is smart and understands the industry changes, however I don’t see how they can overcome the challenges – grab the wheel and change the direction of their giant ship while being attacked on all fronts. To do so, I suggest that, in keeping with some analysts’ recommendations, HP spin off some of its business units to become independent companies relying on HP goods and as its long-term relations with the enterprise market. The cloud revolution started with Amazon about 4 year ago and grabbed the industry attention’s about 2 years ago. As a significant player in the IT industry, HP woke up very late and it is still looking for the right coffee to get it going. The flagship event did include any serious focused “bet the company” announcement. On the contrary – it included the traditional focus on the irons, and lots of confusion and fear with regards to the cloud.